Marta Indulska is a Professor and Leader of the Business Information Systems discipline at the UQ Business School, The University of Queensland, Australia. She teaches on topics related to the use and management of Information Systems and Information Technology in business, specifically with a focus on increasing operational efficiency and effectiveness. 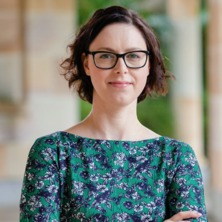 In 2017, she was a recipient of the UQ Citation for Outstanding Contributions to Student Learning. Marta has a background in Computer Science, having obtained her Computer Science doctorate degree in 2004. Her main research interests include conceptual modelling, business process management and open innovation. She has published over 100 fully refereed articles in internationally recognised journals and conferences, and has contributed several chapters to published books. Her research has been funded through several competitive grants, including ARC Discovery. Marta has also worked with organisations in the retail, consulting and non-profit sectors to provide guidance on a variety Information Technology topics. Marta is currently the President of the Australasian Association for Information Systems and a member of the Australian Computer Society. Indulska, Marta (2015). Information systems: they are all around you. In Patrick Finnegan, Sittimont Kanjanabootra, Jeffrey Soar, Kelly Elander, Marta Indulska, Robert Totterdale, Kishor Vaidya and James Hall (Ed. ), Information technology systems for the curious (pp. 1-6) Canberra, ACT, Australia: The Curious Academic Publishing. Prot, Katarzyna, Anczewska, Marta, Indulska, Anna, Raduj, Joanna and Palyska, Maciej (2011) Satysfakcja pacjentów i rodzin z opieki środowiskowej – badanie pilotażowe. Psychiatria Polska, 45 6: 799-809. Recker, Jan, Rosemann, Michael, Green, Peter and Indulska, Marta (2011) Do ontological deficiencies in modeling grammars matter?. MIS Quarterly, 35 1: 57-79. Green, Peter, Rosemann, Michael, Indulska, Marta and Recker, Jan (2011) Complementary use of modeling grammars. Scandinavian Journal of Information Systems, 23 1: Article No. 3. Recker, Jan, Rosemann, Michael, Indulska, Marta and Green, Peter (2009) Business process modeling - a comparative analysis. Journal of the Association for Information Systems, 10 4: 333-363. Recker, J. and Indulska, M. K. (2007) An ontology-based evaluation of process modeling with Petri Nets. International Journal of Interoperability in Business Information Systems, 2 1: 45-65. How do practitioners use conceptual modeling in practice? Green, P. F., Best, P., Indulska, M. K. and Rowlands, T. P. (2005) Information systems audit and control issues for enterprise management systems: Qualitative evidence. Australian Accounting Review, 15 3 Supplement 37: 67-77. Roohy Gohar, Shahrzad and Indulska, Marta (2015). Business process management: saving the planet?. In: 26th Australasian Conference on Information Systems Proceedings. Australasian Conference on Information Systems (ACIS), Adelaide, SA, Australia, (). 2-4 December 2015. Riemer, Kai, Johnston, Robert, Hovorka, Dirk and Indulska, Marta (2013). Challenging the philosophical foundations of modeling organizational reality: the case of process modeling. In: Proceedings of the Thirty Fourth International Conference on Information Systems: ICIS 2013. ICIS 2013: 34th International Conference on Information Systems, Milan, Italy, (703-720). 15-18 December, 2013. Schulze, Thimo, Indulska, Marta, Geiger, David and Korthaus, Axel (2012). Idea assessment in open innovation: A state of practice. In: ECIS 2012 Proceedings. European Conference on Information Systems (ECIS), Barcelona, Spain, (). 10-13 June 2012. Riemer, Kai, Holler, Justus and Indulska, Marta (2011). Collaborative process modelling - Tool analysis and design implications. In: ECIS 2011 Proceedings. ECIS 2011: European Conference on Information Systems - ICT and Sustainable Service Development, Helsinki, Finland, (). 9-11 June 2011. Pashkina, Elena and Indulska, Marta (2011). Where are the ideas? : External idea acquisition. In: Proceedings of the Australasian Conference on Information Systems ACIS 2011 - "Identifying the Information Systems Discipline". Australasian Conference on Information Systems (ACIS), Sydney, Australia, (). 29 November - 2 December 2011. Indulska, Marta and Recker, Jan (2010). Design science in IS research: a literature analysis. In: Dennis N. Hart and Shirley D. Gregor, Information Systems Foundations: The Role of Design Science. Proceedings of the 4th Biennial Information Systems Foundation Workshop. 4th Biennial Information Systems Foundations Workshop, Canberra, Australia, (285-303). 2-3 October 2008. Recker, J., zur Muehlen, M., Siau, K., Erickson, J. and Indulska, M. (2009). Measuring method complexity: UML versus BPMN. In: AMCIS 2009 Proceedings. 15th Americas Conference on Information Systems AMCIS 2009, San Francisco, California, United States, (1-10). 6-9 August, 2009.
zur Muehlen, Michael, Indulska, Marta and Kittel, Kai (2008). Towards integrated modeling of business processes and business rules. In: , , (690-699). .
Indulska, Marta, Recker, Jan, Rosemann, Michael and Green, Peter (2008). Representational deficiency of process modelling languages: Measures and implications. In: W.Golden, T. Acton, K. Conboy, H. Van der Heijden and V.Tuunainen, Proceedings of 16th European Conference on Information Systems. 16th European Conference on Information Systems, Galway, Ireland, (1-12). 9-11 June 2008. Zur Muehlen, M., Indulska, M. and Kittel, K. (2008). Towards integrated modeling of business processes and business rules. In: Cragg, P. and Mills, A., 19th Australasian Conference on Information Systems (ACIS) - Creating the Future: Transforming Research into Practice. 19th Australasian Conference on Information Systems (ACIS), Christchurch, New Zealand, (690-697). 3-5 December, 2008. Indulska, M., Recker, J., Green, P. and Rosemann, M. (2007). Are we there yet? Seamless mapping of BPMN to BPEL4WS. In: Proceedings of the 13th Americas Conference on Information Systems (AMCIS 2007), Keystone, Colorado. 13th Americas Conference on Information Systems (AMCIS 2007), Keystone, Colorado, (1-11). 8-12 August, 2007.
zur Muehlen, M., Indulska, M. and Kamp, G. (2007). Business process and business rule modeling languages for compliance management: A representational analysis. In: J. Grundy, S. Hartmann, A. H. Laender, L. Maciaszek and J. F. Roddick, Proceedings - Tutorials, Posters, Panels and Industrial Contributions at the 26th International Conference on Conceptual Modeling - ER 2007 Auckland, New Zealand. 26th International Conference on Conceptual Modeling (ER 2007), Auckland, New Zealand, (127-132). 5-9 November 2007. Recker, J., Rosemann, M., Green, P. F. and Indulska, M. K. (2007). Extending the scope of representation theory: A review and a proposed research model. In: S. Gregor and D. Hart, Information System Foundations: Theory, representation and Reality. 3rd Biennial ANU Workshop on Information Systems Foundations, Canberra, Australia, (93-114). 27-28 September, 2006. Recker, J., Indulska, M. K., Rosemann, M. and Green, P. F. (2006). How good is BPMN really? Insights from theory and practice. In: J. Ljungberg and M. Anderson, Proceedings of the 14th European Conference on Information Systems. European Conference on Information Systems, Göteborg, Sweden, (1-12). 12-14 June 2006. Green, P. F., Rosemann, M., Indulska, M. K. and Recker, J. (2006). Improving representational analysis: An example from the enterprise systems interoperability domain. In: S. Spencer and A. Jenkins, Proceedings of the 17th Australasian Conference on Information Systems. Australasian Conference on Information Systems (ACIS), Adelaide, (2-11). 6-8 December 2006. Rosemann, M., Green, P. F. and Indulska, M. K. (2005). A procedural model for ontological analyses. In: S. Gregor and D. Hart, Information Systems Foundations: Constructing and Criticising. Information Systems Foundations: Constructing and Criticising Workshop, Canberra, (153-163). 16-17 July, 2004. Dreiling, A. and Indulska, M. K. (2005). Data warehouse projects: Increasing awareness for assumptions and complexity from the perspectives of business and IT. In: M. Khosrow-Pour, Managing Modern Organizations With Information Technology. Information Resources Management Association International Conference, San Diego, (375-379). 15-18 May, 2005. Recker, Jan, Indulska, Marta, Rosemann, Michael and Green, Peter (2005). Do process modelling techniques get better? A comparative ontological analysis of BPMN. In: B. Campbell, J. Underwood and D. Bunker, Proceedings of the 16th Australasian Conference on Information Systems (ACIS 2005): Socialising IT: Thinking About the People. ACIS 2005: 16th Australasian Conference on Information Systems, Sydney, (2-11). 30 November - 2 December, 2005. Green, P. F., Best, P. and Indulska, M. K. (2004). Enterprise management systems: Usage, audit, and control issues. In: P. Gray and E. Margiolis, 2004 AFAANZ Conference proceedings. AFAANZ 2004: Accounting & Finance Association of Australia & New Zealand 2004 Conference, Alice Springs, NT, Australia, (). 4-6 July, 2004. Rosemann, M., Green, P. F. and Indulska, M. K. (2004). Towards an enhanced methodology for ontological analyses. In: J. Grabis, A. Persson and J. Stirna, Forum proceedings of the 16th International Conference on Advanced Information Systems Engineering 2004 (CAiSE 2004). The 16th International Conference on Advanced Information Systems Engineering, Riga, Latvia, (112-121). 7-11 June 2004. Will XML technologies and web services solve the interoperability problem? Green, P. F., Indulska, M. K., Rosemann, M. and Weber, R. A. (2003). Will XML technologies and web services solve the interoperability problem?. In: F. Bodart, Utility, Usability and Complexity of e-information Systems: Proceedings of International Workshop on Utility, Usability and Complexity of Emergent IS. International Workshop on Utility, Usability and Complexity of Emergent IS, Namur, Belgium, (103-115). 8-9 December, 2003. Indulska, M. K. and Orlowska, M. E. (2002). Gravity based spatial clustering. In: A. Voisard and S. Chen, Proceedings of the Tenth International Symposium on Advances in Geographic Information Systems. Tenth International Symposium on Advances in Geographic Information Systems, McLean, Virginia, (125-130). 8-9 November, 2002. Indulska, Marta K. and Orlowska, Maria E. (2002). On aggregation issues in spatial data management. In: Xiaofang Zhou, Database Technologies 2002: Proceedings of the Thirteenth Australasian Database Conference. Thirteenth Australasian Database Conference, Melbourne, Australia, (75-84). 28 January-1 February, 2002. Indulska, M. K. and Orlowska, M. E. (2002). Spatial clustering for facility location problems. In: y. Kiyoki, M. Yoshikawa and K. Tanaka, Information Systems and Databases: Proceedings of the IASTED International Conference. IASTED International Conference on Information Systems and Databases, Tokyo, (1-6). 25-27 September, 2002. Indulska, Marta Krystyna (2004). Aggregation in spatial data environments PhD Thesis, School of Information Technology and Electrical Engineering, The University of Queensland.